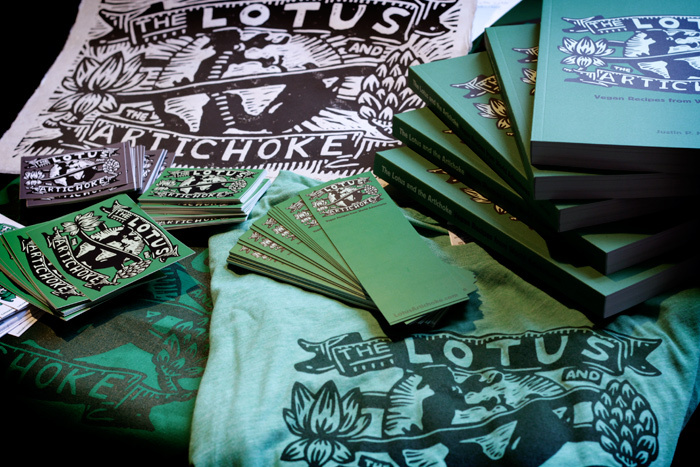 The Lotus and the Artichoke is back on Kickstarter to crowdfund the German edition of my cookbook, and to help fund the next English printing this Spring. Join the adventure and help make it happen! 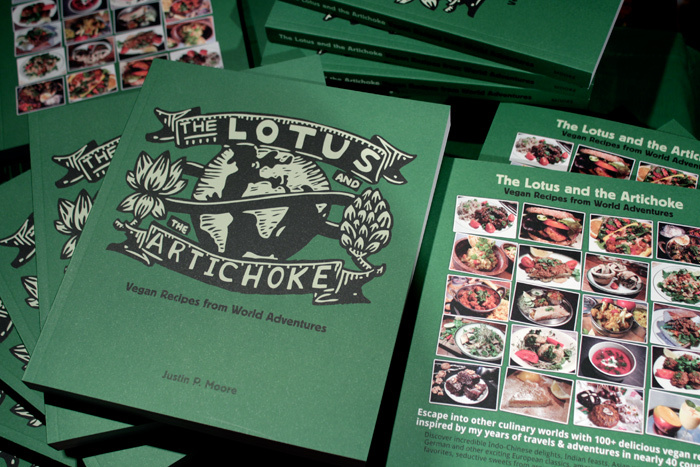 In 2012 my first Kickstarter project The Lotus and the Artichoke – Vegan Cookbook was successful with the help of over 360 amazing backers from around the world. In December, the first edition was printed: 1000 copies in full color, featuring over 100 recipes and more than 90 full-page, mouth-watering photographs. The Lotus and the Artichoke quickly became an international sensation! Because of the costs involved in printing a book of this quality and complexity, I am asking for your help. Hundreds of enthusiastic backers made my first book possible – even with the doubling of project expenses to upgrade the cookbook format and production, and to ship all rewards international priority airmail. and re-print the English edition! We’re nearly 25% of the way to our goal of $8500, and 50 backers have joined the effort! 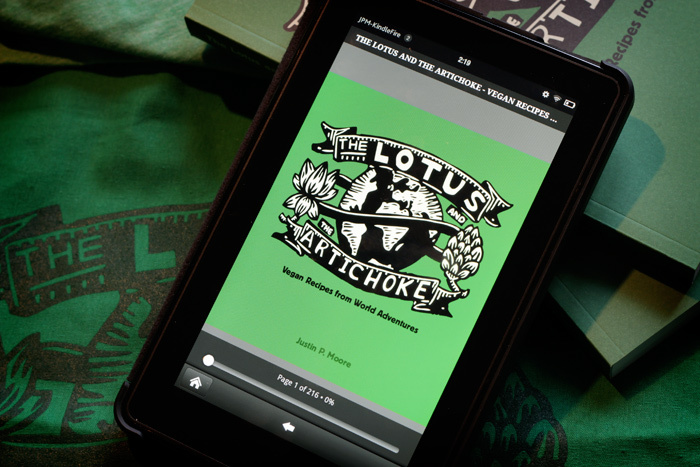 The Lotus and the Artichoke was selected as a KICKSTARTER STAFF PICK on the very first day! SUCCESS!! The project is now 105% funded and still growing! The project is now 117% funded. 25 hours to go! 2nd Funding Goal: NEW STICKERS ($9500) Success!! 3rd Funding Goal: NEW PROMO CARDS ($10000) Success!! 4th Funding Goal: NEW T-SHIRT Design ($11,500) Success!! 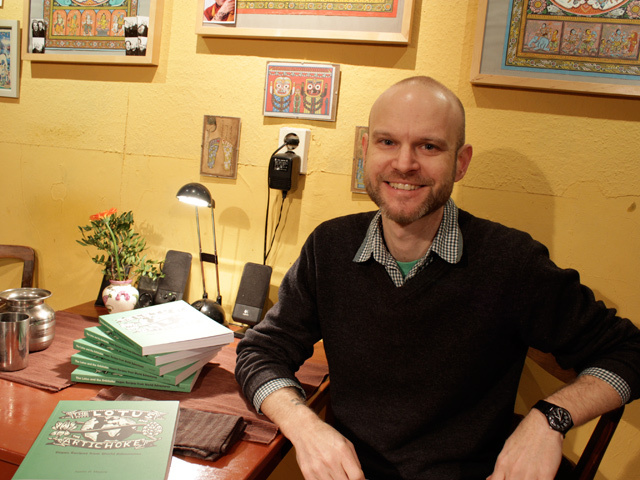 Why publish a German edition? In 2001, I made Berlin my home. I want to give back something meaningful to the community, city, and country where I live and work. After dedicating years to learning German, what better way to show my appreciation than publishing a book in the language? 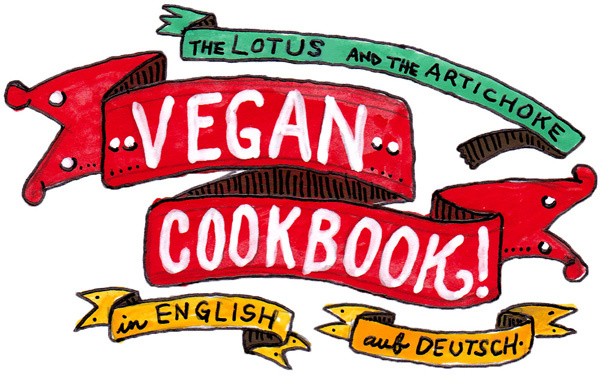 Interest in vegan cookbooks and the vegetarian culinary scene in Germany have grown impressively in the last ten years. 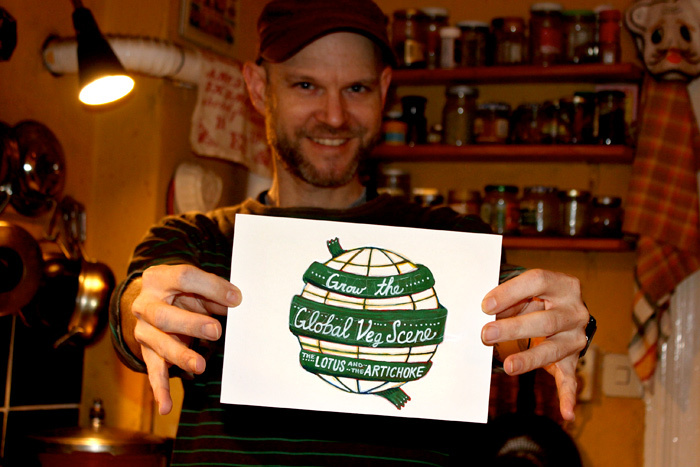 To improve awareness of vegan cooking and international cuisine to the worldwide German-speaking public: in Austria, Switzerland, Germany, and other countries. Limited edition artwork, tote bags, a 5-course Berlin dinner party… and more! The Lotus and the Artichoke? Share the inspiration, experience, and adventure with everyone! Show your support with a pledge on Kickstarter! Pick a great reward and sponsor generously! Share the Kickstarter project (http://kck.st/X8mwU4) with your friends and followers on Facebook & Twitter. This entry was posted in Art, Kickstarter and tagged cookbook, ebook, kickstarter, vegan, veganes kochbuch. Bookmark the permalink. Hi Fred! Please send me a message via the “Contact” option above and we’ll figure out a solution. We can do something with PayPal, or best: a bank transfer i.e. Überweisung). It’ll be separate from Kickstarter, but you can certainly support the project and reserve a book! Thanks! Ich hoffe wirklich, dass die neue Kickstarter-Kampagne Erfolg hat! Das sieht alles sehr lecker aus und “Mac & Cheese” werde ich heute mal testen. Irgendwelche Tipps zu Tofu? Ich habe gesehen, dass es auch welchen ohne Sulfat gibt. Danke, Fabian! Ganz schon spannend, oder? ;-) Ich denke, dass das mit dem 2. Tshirt-Design klappt. Irgendwie schaffen wir’s. Congrats, dear Justin! That’s all great news!